The end of 2017 is near, and I am happy to say you can snag a new book to take with you into the new year. Alex is about to learn if keeping secrets is cruel or compassionate. 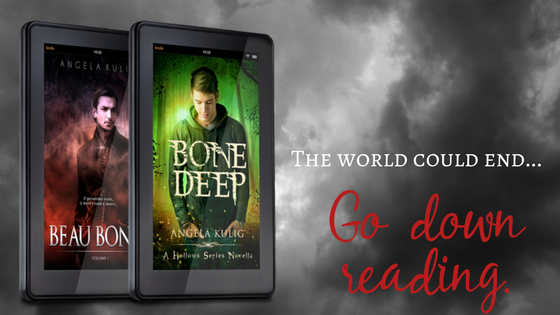 Beau Bones is as honest as you'll let him be. At twenty-three he doesn't believe in aliens, vampires, ghosts, or himself. He's a skeptic, he's paid to not believe; Beau is the voice of reason, the devil's advocate, he's the one no one ever listens to. So when paranormal researcher and professional pretty boy Zap Laughlin shows up to turn him into a superstar (and maybe get into his pants) almost everyone loses their collective mind. Especially Beau.